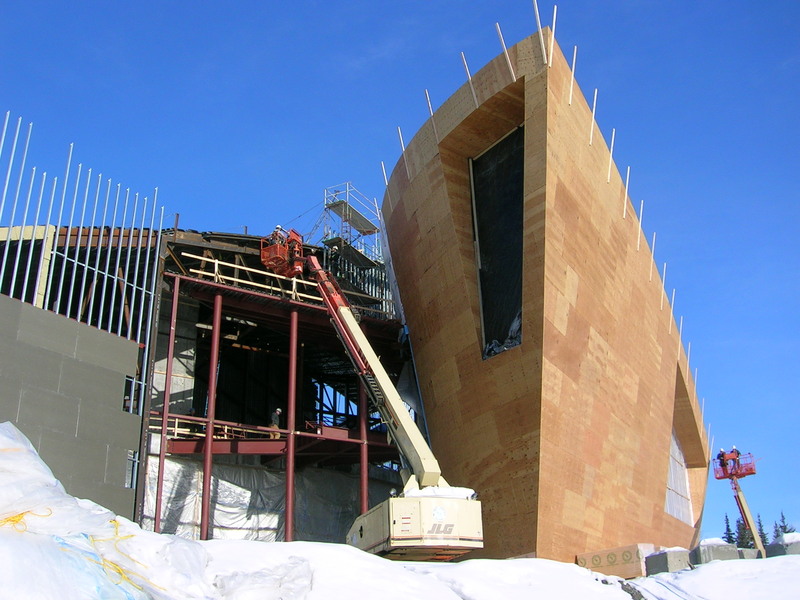 Construction for the big expansion of Museum of the North at the University of Alaska Fairbanks campus back in 2004. Thanks, Frank. It was captured with a Coolpix 3700 in those days with transition from film. I almost liked the internal paneling of the right part better compared to how it was finally covered up, but it is a great landmark building in its final state too. Construction site in Almería, Spain. It was captured with a Coolpix 3700 in those days with transition from film. I almost liked the internal paneling of the right part better compared to how it was finally covered up, but it is a great landmark building in its final state too. Well, I don't know how the building looks now, but I too find the paneling to have eye appeal as shown in your image. It also energized my imagination, as my first impression when looking at your shot was of a misshapen ship. I quite enjoyed this photo, as is, whether or not the building was ever to be completed. No doubt an analyst would have a field day with my remarks. In 1994, you probably saw our newest parliament building, designed by Behnisch. Yes, it is still here in Bonn, now used by the WCCB, world conference centre Bonn. Good to know, thanks Frank! This is the one! Thanks Alaun! It can be both fascinating and dangerous to look up in a construction site.